Governor Obiano is a change maker. Something great is happening in Anambra State of Nigeria. This is nothing short of intellectual, economy-metaphysical and human capital revolution. The salaries of Anambra State workers are paid on time, even with incremental benefits, the schools are excelling and are scoring the best results in the WASSCE, Nigeria. In addition, there are fly over bridges constructed in capital city of Awka and Upper Iweaka Road in Onitsha. When the pictures of the well designed and solid built fly over bridges were displayed in the social media. Most people could not believe the level of the architectural sophistication , for the construction were impressive as those in developed countries. It was also in the news that Anambra State is now exporting products to Europe and has already generated over $5 million dollars. Despite the financial crunch in many states in Nigeria and inability of many states to meet their financial obligations, Anambra State is waxing stronger and stronger under the leadership and steady hand of the effective Governor Willie Obiano. Chief Obiano has displayed a keen financial and managerial acumen that are rarely seen among Nigerian policy makers and leaders. He has shown that a visionary and prudent leader can over come economic challenges with determination and well planned policy. Obiano is making Ndi-Igbo and Nigeria proud. For his willingness and steadfastness in leading Anambra State to the road of prosperity and greatness: The entire staff of AFRIPOl, hereby chose Chief Willie Obiano as the Afripol Person of the Month. Congratulations to the people of Anambra State, as they march forward into a new administration under Governor-elect William Obiano. This new administration owes the people of Anambra substantial dividends, for enabling a smooth transition, via the ballot box; the new administration must rapidly roll out great developmental initiatives from day one. In all fairness to the outgoing administration of Governor Peter Obi, Obi has laid a thorough foundation for financial discipline across the state government, as well as a tremendous legacy of humble public service. Humility was, and had been in short supply in Anambra State before Governor Peter Obi, partly as a result of the money-driven politics of the state, and also the overriding culture of “wealth at all costs” doctrine in Anambra. Anambra has produced excellence in the past, and in many respects, has indeed demonstrated been the “Light of the Nation” per the state’s vehicle insignia. In many cases; Anambra has led Nigeria in innovation, industry, and public service. Azikiwe’s contributions toward Nigeria’s independence, stands as a permanent testimony in the history of Nigeria. Other Anambra born and bred luminaries have continued to blaze trails in Nigerian & West African commerce and industry; including the founder of the Nigerian Stock Exchange (Sir Louis Ojukwu etc). Others include pioneers who put Africa on the literary map (C. Achebe, C.Ekwensi, C. Adichie, O. Ndibe, etc); to industrialists who succeeded against all odds, in industries that even National governments in Africa could not fathom their way-Innocent Chukwuma of Innoson Motor Manufacturing. Thus, this state grooms leaders of men and industry. However, the politics of this state before Peter Obi, was a totally treacherous business, thus relegating the state to the backwater of socio-economic and community development. We hope this state east of the Niger is about to awake from its reckless political and leadership stupor. The “Wealth at all Costs” cultural syndrome, is the bane and undoing of Anambra. This cultural defect has led many an Anambra youth, to try their hands at a host of nefarious activities; from contraband smuggling; to kidnapping; to armed robbery; to political thuggery; to murder for hire; all in order to be counted among the wealthy; and perhaps take a Red-Cap title in Anambra (this applies to their cousins in Imo State as well). It is an undisputed fact that Anambra youth are found in far-flung places around the world; chasing wealth, and getting into all manner of trouble, in order to build Mansions, acquire SUVS’, or take Red-Cap titles in Anambra. Some of these wealth-hungry youth, have been known to lose their lives in the pursuit of elusive wealth, or commit suicide in the process; because they feel they have failed, and are embarrassed to return to Anambra with empty hands. The Anambra society is merciless in its psychological torture of youth who are deemed to be failures, and the whole society is guilty. I have not seen the above psychology anywhere else, in my travels and assessment of cultures across North and South America, Europe, Asia, and even other cultures in Africa. Therefore, Governor-elect Obiano, and the state Ministry of Education, must address this ill; through a revision of the state’s educational curriculum, starting from kindergarten. Some “Civics” and model citizenship doctrine must be taught to Anambra youth; in order to sanitize the state’s psyche, for the youth that will lead this state in the future. If not, a bandit could become governor of this state in the future. This socio-cultural syndrome of “Wealth at all Costs” must be exorcised from the Anambra youth, starting with a revised educational curriculum that derides ill-gotten wealth. Youth must be thought that everyone in society must not be a millionaire or billionaire in other to enjoy status and respect in their environs. In my previous role in public service, as a Commissioner in the state of Maryland, United States; I had the opportunity to assist in creating a 10-year development plan for my jurisdiction. Our development plan targets the entire jurisdiction and not just where we received the largest bloc of votes; or where the Chief Executive was born and raised. In implementing public projects, we zero our service delivery to cities or towns with recognized deficiencies in infrastructure and or community development, or economic empowerment needs. The resulting effect is that as our programs lift cities, or towns, or communities, with recognized deficiencies; we now create positive impact for the whole jurisdiction, and by extension the whole state. The development plan then leads to a robust tax base; and prosperity for the whole state; because all capable hands are contributing productively to the welfare of the whole state. Therefore, Governor-elect Obiano must aggressively pursue a development agenda that focuses on where the needs are, from Umuoji, to Nanka, to Aguata, to Ogbaru, and other towns in Anambra. To be frank in this matter; Awka is an embarrassment as the capital of “the Light of The Nation.” Onitsha also needs a massive face-lift, especially in regard to waste management and street décor (lighting and other attributes that befit the foremost commercial city in West Africa). I trust that the Governor has been to other environments even in Africa, to compare. If the Governor-elect cannot find an example, let him visit the nearby city of Calabar in Southern Nigeria, where the virtues of a decent environment has been inculcated in the peoples psyche. We expect to see major strides in the first 90 days of the Governor’s administration, because the outgoing Governor Peter Obi, has laid a solid foundation and financial discipline for the state. Obiano only has to ride on Peter Obi’s foundation, and move the “Light of The Nation” to where it should be, as example to other States in Nigeria. 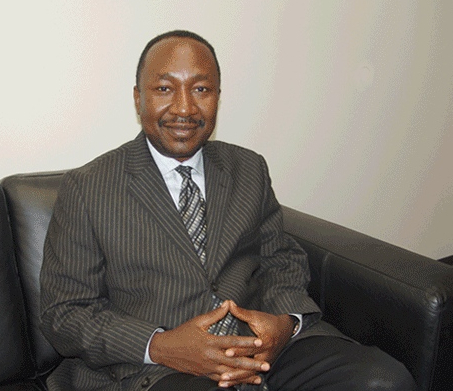 S. Okey Mbonu is the current Executive Director of the Washington, DC based Nigerian-American Leadership Council (NALC), web: www.nigerian-americancouncil.org. Mbonu is also a former Commissioner for Housing & Community Development in suburban Maryland, United States. U.S Congressman Green congratulates Anambra Gov-elect Obiano at USAfrica interactive forum in Houston with Anambra diaspora. USAfrica, January 13, 2014: At his first major public policy event since his election and affirmation as the duly-elected Governor of Anambra State of Nigeria, Chief Willie Obiano, has drawn the commendation of an influential member of the United States Congress, Hon. Al Green of Texas, a Democrat. In his speech, Chief Obiano who was accompanied by his wife Osodieme E.V. Obiano set forth to hundreds of diasporans from different parts of the United States of America, Ireland, Canada, Europe and Nigeria his agenda and plan for Anambra when he steps in March 2014. There were dignitaries who witnessed and/or spoke at the event, including Nigeria's former Information Minister Prof. Dora Akunyili, Anambra State Information commissioner Joe Martins Uzodike (represented the Governor Peter Obi and recalled the process which led to Obiano's nomination), Owelle Pius Idigo, Prof. Joseph Asike, first Chairman of the World Igbo Congress Dr. J.O.S Okeke, Igwe Nteje Rowland Odegbo, Prof. Michael Obiefune, Dr. Chudi Egbunike, APGA USA chairman Kpajie Onochie, APGA USA Women leader Mrs. Kate Okosi-Ofodile, and several others. He continued by noting that: “In Nigeria today as in the Diaspora, there is an erroneous belief that Igbos are never united in pursuit of any common purpose and that “we cannot work together.” Some people have even said that Igbos do not love one another. But that is not true. Once in every while, something happens to expose that notion as a lie. This gathering is one such instance. Another is the gubernatorial elections in Anambra State that took place on the 16th and 30th November last year. Ndi Anambra, the overwhelming support I received from you all here in the Diaspora and in Nigeria that ensured my emergence as the Governor-elect of Anambra State, is proof that our people can act together as one in pursuit of a common goal. I must crave your understanding at this juncture to ask you to put your hands together for yourselves for remembering Anambra in your prayers all through the heady days of the campaign. On behalf of my family, I thank you for your kind support and prayers. Let me also assure you that with your continued support and prayers, we shall lift Anambra State up to its deserved place as a frontline state in Nigeria. Obiano, a technocrat and accomplished banker, holds a Second Class Upper Division degree in Accounting and an MBA in Marketing from the University of Lagos. He is a class member of the prestigious Harvard Business School in Massachussetts, and Stanford University, California. He is a Fellow and patron of the Institute of Chartered Accountants of Nigeria (ICAN). Obiano attended numerous courses including Credit and Trade Services at Citi-Bank in New York; Treasury and Money Market at Northwest London; Emerging Markets at FIM Bank, Malta; Managing Integration Process in Houston, Texas, USA in 2006, and several other courses. He has been invested with many awards and recognitions including the 2012 USAfrica Distinguished International Banker of the Year, as witnessed by Nigeria’s Deputy Speaker Emeka Ihedioha, U.S. Congressman Al Green and several dignitaries. 1,000 exclusive pictures of the event are already on the African diaspora’s #1 mega-site for pictorials www.PhotoWorks.TV while the print feature of the 2014 event with Obiano are scheduled to appear in the February 2014 special edition of USAfrica CLASSmagazine. Additional news features/spotlight across some of the blogs/e-groups of USAfrica, including IgboEvents, AnambraPolitics and Nigeria360. The Governor-elect of Anambra State of Nigeria, Chief Willie Obiano, will be the special guest at the USAfrica interactive forum in collaboration with the Anambra communities in the diaspora on Saturday January 11, 2014 in Houston, Texas. The venue of the international event is the Hilton Hotel Towers at Westchase. Meanwhile, hundreds of diasporans from different parts of the United States of America, Canada, Europe and Nigeria have confirmed their interest to participate in Chief Obiano’s presentation, join in the Question and Answer session to assess Obiano’s agenda and plan for Anambra when he steps in March 2014. Obiano who is married to a graceful woman of substance, Osodieme Ebelechukwu Obiano, holds a Second Class Upper Division degree in Accounting and an MBA in Marketing from the University of Lagos. He is a class member of the prestigious Harvard Business School in Massachussetts, and Stanford University, California. He is a Fellow and patron of the Institute of Chartered Accountants of Nigeria (ICAN). Obiano attended numerous courses including Credit and Trade Services at Citi-Bank in New York; Treasury and Money Market at Northwest London; Emerging Markets at FIM Bank, Malta; Managing Integration Process in Houston, Texas, USA in 2006, and several other courses. He has been invested with many awards and recognitions including the 2012 USAfrica Distinguished International Banker of the Year, as witnessed by U.S. Congressman Al Green and several dignitaries. Print feature of the 2014 event with Obiano are scheduled to appear in the February 2014 special edition of CLASSmagazine; the pictures will be on the African diaspora’s premiere pictorials mega-site PhotoWorks.TV and across some of the blogs/e-groups of USAfrica, including IgboEvents, AnambraPolitics and Nigeria360. Beloved Anambrarians, to the Glory of Almighty God and the kind support of my family, I stand before you tonight to accept this historical mandate given to me and Dr Nkem Okeke. Ndi Anambra, this is the moment we have been waiting for; the moment we have collectively worked for and hoped for. Tonight, the expressed will of the people have been finally enthroned. Ndi be anyi, I stand here tonight in the shadow of history. You made history when on November 16 and today, you cast your votes in favour of APGA. In doing so, you have affirmed the life long struggle of our great father, Dim Chukwuemeka Odumegwu Ojukwu. You also upheld his view that our people should preserve our heritage through one united political roof. Ndi Anambra I want to thank you for honouring the memory of late Ikemba. Umu nnem, Dalu nu! In voting Dr. Nkem Okeke and I as Deputy Governor and Governor-elect, you have also expressed your wish that the tradition of excellence which my brother, His Excellency Governor Peter Obi has entrenched in Anambra State these past 8 years should be sustained. I wish to assure you that Nkem and I are ready and adequately prepared to expand the boundaries of our development and place Anambra State on the map of rapidly advancing states on all parameters of development. Nkem and I are fully aware that after Governor Obi’s glorious reign, Anambra can only advance to higher glory. As inheritors of this tradition of purposeful leadership, we shall dedicate ourselves to a life of service. Our administration shall be responsible and responsive to your needs. History has shown that no remarkable human advancement ever comes through without a price. As an industrious people, Anambrarians are naturally built for the tasking commitment that the long stride to greatness requires. Ndi Anambra, now is the time to reclaim our heritage of greatness! Now is the time to repossess our rightful place under God’s green earth as builders of the new civilization. My good people of Anambra State, as I urge you to gird your loins for the task ahead, I say so because I know that we can do it! Ladies and gentlemen, permit me also to fully acknowledge the ceaseless struggles and visionary leadership of the National Chairman of our great party, APGA, Chief Victor Umeh. Chief Umeh is a proof that under the right leadership, the famous Igbo spirit that once made our people great in the colonial period can rise again. His raw energy, charisma and amazing brilliance are the reason why we celebrate the result we have tonight. Thank you my honourable Chairman. Ohamadike!!! I also wish to thank our ebullient governor, His Excellency Mr. Peter Obi for the vision and confidence in me and Nkem. Your Excellency, onye nwelu gi nwelu ife! Okwute!!! As we celebrate this victory tonight, I reach out my hand of fellowship to all my brothers who contested this election with me. I specifically urge my brothers Tony Nwoye, Ifeanyi Ubah, Senator Chris Ngige, Godwin Ezeemo and many others that I cannot easily mention now for lack of time, to join us in the march to make Anambra State a better place. Please always remember that the blood that binds us is thicker than the politics that separates us! I must thank the Federal Government for providing a conducive and secure environment for this election. I also thank the Independent National Electoral Commission (INEC) for conducting the most peaceful, free and fair election in the history of Anambra State. My gratitude also goes to the security agencies, the Nigerian Police Force, the Nigerian Army and Navy and all the groups that provided a conducive environment for our people to perform their civic duties. I would like to specially express my profound gratitude to all my party men and women who worked tirelessly to achieve the victory we celebrate tonight. Ndi Anambra, this victory is for you all! After the supplementary election that was organised by the INEC yesterday in Anambra state Chief Willie Obiano of APGA has emerged as the Anambra Governor-Elect. The governor-elect Chief Willie Obiano, said " Governor Obi’s 'good work actually led us to victory and I must commend him for his exemplary show of support. I am assuring the people of Anambra that I will continue with the great strides of Obi in moving the state forward." "The APGA candidate Willie Obiano has emerged the governor-elect. In the final results - November 16 plus yesterday's supplementary poll, Obiano polled a total of 180, 178 votes to PDP's Tony Nwoye who came second with 97,200 votes. APC's Senator Chris Ngige came third with 95,963 votes and LP's Ifeanyi Ubah who polled 37, 495 votes. In the results of the November 16 election, Obiano had polled 174,710 while PDP, APC and LP trailed with 94,956, 92,300, and 37,446 in that order. Twenty three parties participated in the election. In yesterday's supplementary election, Obiano polled 5,468 to increase his tally, while Ngige polled 3,663. Nwoye polled 2,744. Although, there was heavy presence of security personnel from the military, police and civil defence across the state, especially in the affected areas, voter turnout was generally low. At Anyaeji ward 9, Onitsha North state constituency, for instance, 54 out of 484 registered voters were accredited to vote as at 12.30pm when voting started. The situation was worse at ward 6, Fegge, Onitsha South, comprising 17 polling units with a voting strength of over 12,000, where only about 20 voters was accredited at the Plaza Square in the area with four polling units as at 11.30am. Chief Willie Obiano:"The allegation of double registration is not true." The pervasive rumor and allegation circulating around the media especially on internet that Chief Willie Obiano, All Progressive Grand Alliance, APGA, governorship candidate in Anambra State was involved in double registration is false and has been debunked by APGA chieftain. The state APGA chairman, Chief Mike Kwentoh cleared the air and took head on the rumour. He said that Chief Obiano lawfully transferred his registration from Lagos State to Anambra State. In addition, Professor Chukwuemeka Onukogu, Anambra State Resident Electoral Commissioner (REC) denounced the emanating disqualification of Chief Willie Obiano in the November 16 election as “rumour" and claimed that he was not aware of the genesis of the allegation. "Fielding questions on the development, Onukogu washed his hands off "the rumour", and stressed that the matter was not only beyond him, but was not known to him at all. Instead, Onukogu considered the report as an unnecessary distraction from the mounting pressure of planning a hitch-free, transparent and credible governorship poll for the state. He admitted to having received many phone calls from some of the stakeholders who sought clarifications on the matter. On his part, the Director General of Obiano Campaign Organisation, Chief Joe-Martins Uzodike, insisted that there was no such situation as double registration on the part of Obiano. Describing the APGA candidate as a very articulate and patriotic citizen, who would not do anything untoward, Uzodike said it was "a rumour being spread on the Internet by some political opponents from other parties that are jittery over the landslide victory Obiano would record against them," as was reported by Chuks Collins , ThisDay. Sec 12(2) of the Electoral Act 2010 (as amended) states that: "A Person shall not register in more than one registration centre or register more than once in the same registration centre,” while Section 12(3) states that "A person who contravenes the provision of subsection (2) of this section commits an offence and is liable on conviction to a fine not exceeding N100,000 or imprisonment…"
And "A person, who before the election is resident in a constituency other than the one in which he was registered may apply to the Resident Electoral Commissioner of the State where he is currently resident for his name to be entered on the transferred voters, list for the constituency." With the clarification coming from APGA and REC, Obiano action should be deemed lawful. The drumming allegation may be a distraction coming from political opponents but we will see, time will tell.